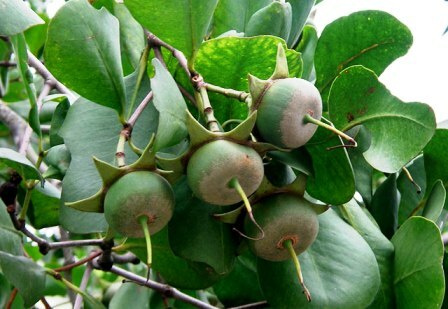 Other names: Mangrove apple, perepat. Urava is a quite widespread tree. 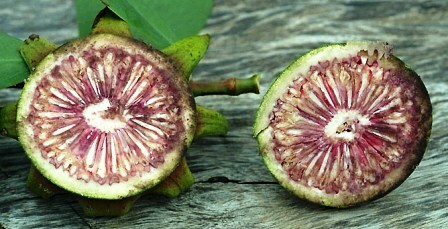 It is found growing in, mostly in mangoves,from East Africa through the Indian subcontinent, Southeast Asia, northern Australia, Borneo and Pacific Islands. 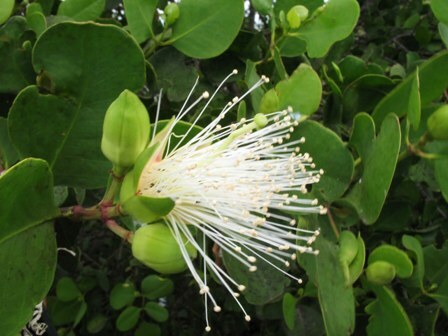 In India, grows in the mangrove swamps of Mahanadi delta in the Indian state of Orissa. A small to moderate sized tree, sometimes upto 24 m in height and 1.8 m in girth, but usually much smaller; bark grey to reddishbrown, usually fissured. Leaves broadly ovate, rounded, leathery, opposite, upper and underside of leaf similar. Flowers in terminal or axillary cymes, white, pom-pom-like,open only for one night, scented. Fruit a globose leathery berry, upto 6 cm wide, green, with a start shaped base. Seeds 100-150, tiny, seeds that are white, flattened and buoyant. The fruits are eaten. These taste somewhat like quince. The fruits are also cooked and used like vegetable in India. The leaves are also cooked and used as a vegetable. The heavy timber is resistant to shipworm and pests and is used for building boats, piling and posts for bridges and houses. However, the wood corrodes metal, probably because of the timber’s high mineral content. The pneumatophores are made into floats for fishing nets. 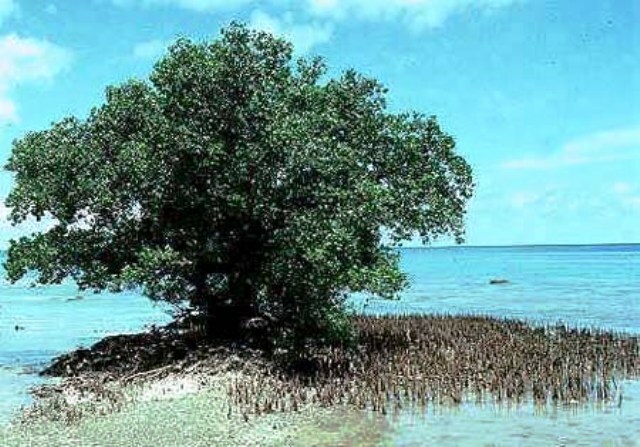 Urava tree is recommended for planting in mangroves. This plant is quite tolerant to salts. Urava trees are not cultivated. Trees are, however, planted in botanical and other gardens for demonstration only.